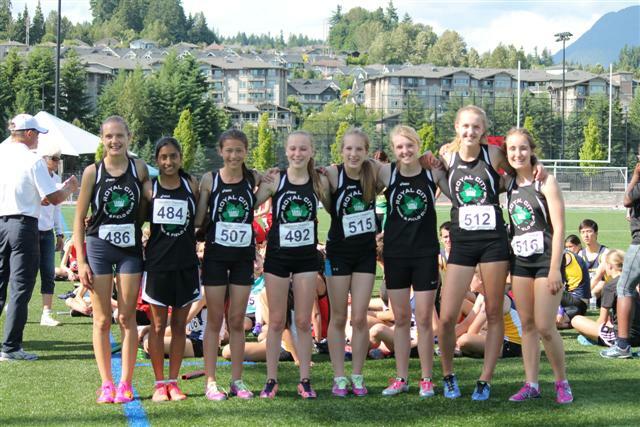 Royal City Track and Field Club turned out 39 athletes at the Annual Jesse Bent Memorial Meet June 7-8 and the little club from New Westminster performed well on both the track and in the field events against many larger lower mainland clubs. 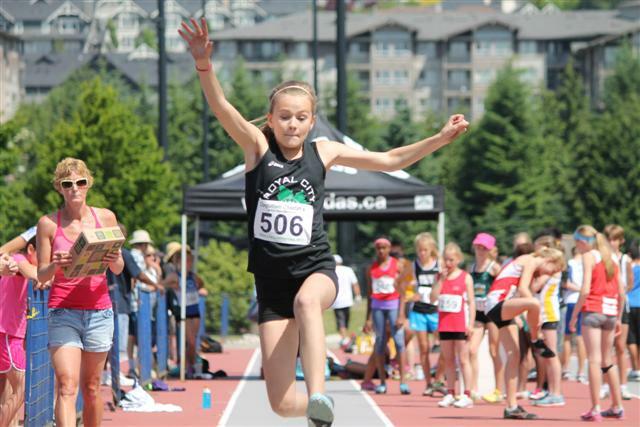 Forty medals were won by Royal City Track and Field Club kids and more than 80 top 8 performances were demonstrated at the meet by club athletes. 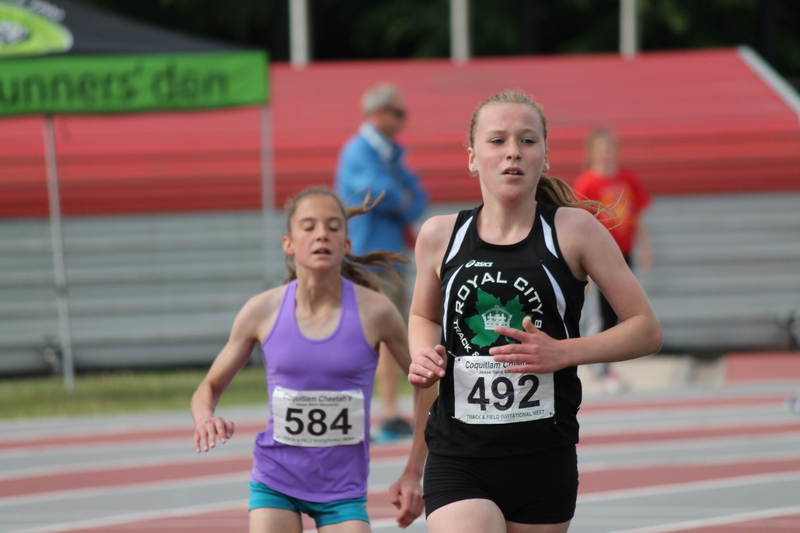 Congratulations also to the many Track Rascals who participated at the meet and to the Royal City athletes who attained personal bests and competed in new events at the meet! 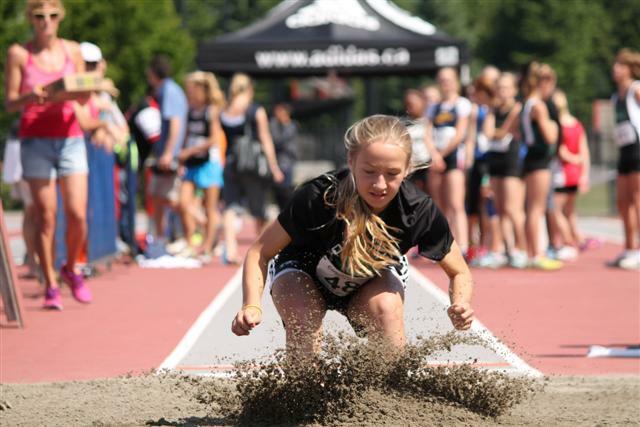 Royal City Track and Field athletes performed to new heights in high jump and in the long jump pit. 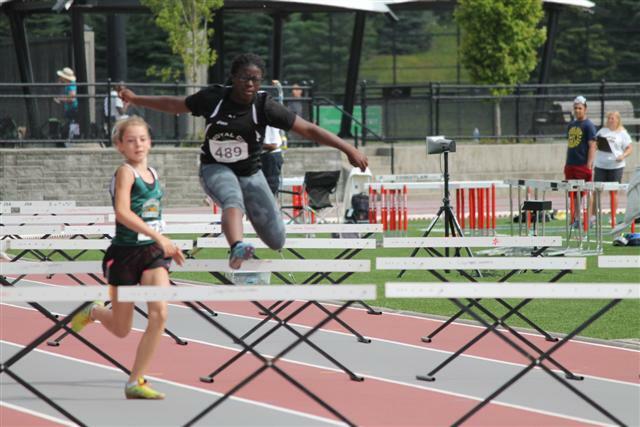 Highlights by Royal City athletes in the throws events also demonstrate some top performances. In the 14/15 year old category, Lauren Vanee won gold in javelin, Deirdre Bos took bronze in discus and 8th place in shot put, Brianna Bates won bronze in javelin and 6th in shot put, and Devin Strome took 5th place in shot put. In the 9 year old boys’ category, Angus Steele won gold in the 600m, breaking an all-time meet record in the process.